Second instalment of our (tentatively) monthly night at Rye Wax, a venue that always makes everyone feel welcomed. We want to mix things up a lot and create opportunity for anyone to get involved and play a set. Starting off with DJ’s but open to solo artists or bands. 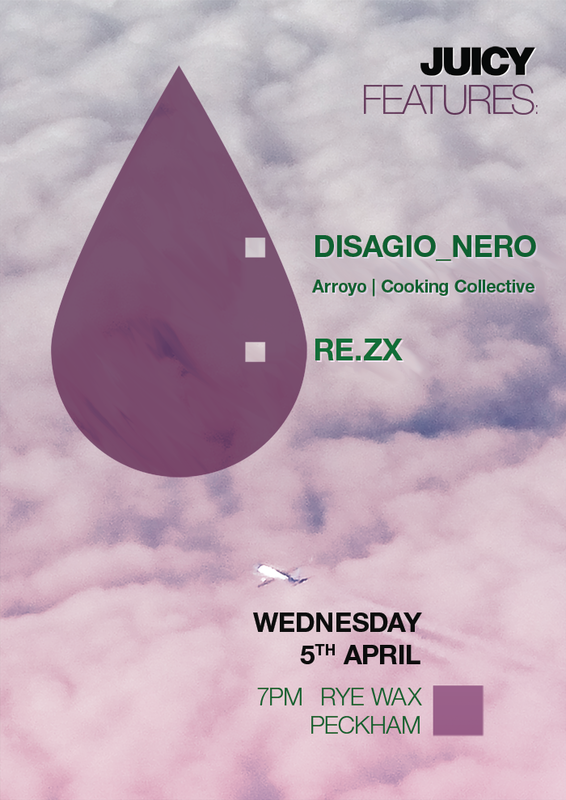 For this second round we invited Disagio Nero, one of the people behind Arroyo Records, to expand the sonic boundaries of your Wednesday, and we're keeping Juicy’s own Ema DJ alter-ego RE.ZX on the bill with a more Afrocentric / World music set.